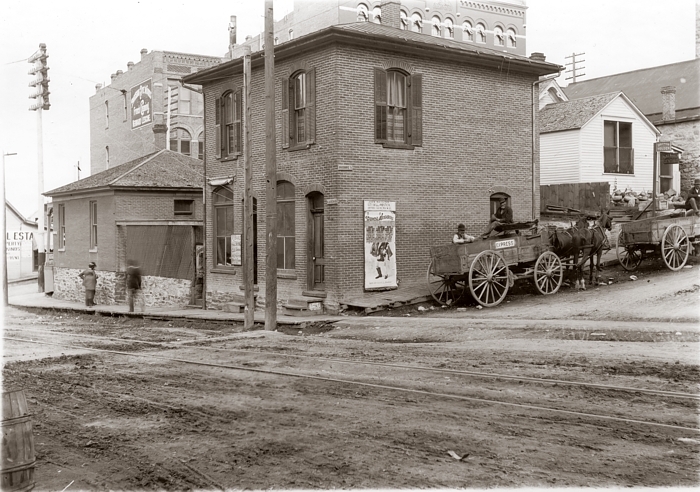 This two-story brick veneered building stood on the northeast corner of Jackson and Breckenridge from sometime before 1885 until 1897, when it and adjacent small structures were removed for the construction of the Rocky Mountain Bell Telephone Company building. In the background of the top photo are seen buildings on Grand Street, which was eliminated during the 1970s Urban Renewal era. The larger building, with awnings in the windows, is the 1889 Hotel Helena. Posters on the south side of the building advertise upcoming theatrical productions, many of which were performed at the nearby Ming Opera House. 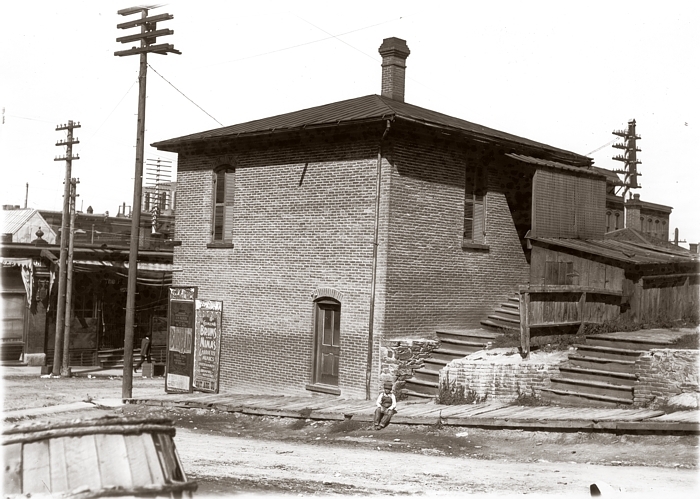 Schroeder's Decemeber 1902 trail resulted in a hung jury. In May of 1903, the case was dismissed because the State felt it could not bring as strong of a case against Schroeder as it had before.